ABUJA – In what appears a first major electoral loss in the 2019 general elections, the Independent National Electoral Commission INEC has banned the ruling All Progressives Congress APC from fielding candidates for governorship, state and federal legislative elections in Zamfara state. 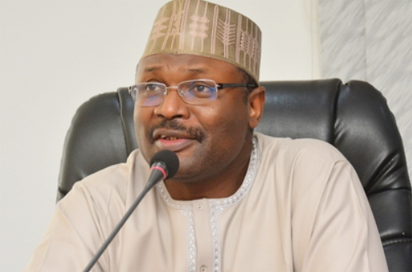 In a letter written to the ruling party and signed by the Commission’s acting scribe, Okechukwu Ndeche, INEC said its decision was based on the provisions of Sections 87 and 31 of the Electoral Act 2010 (as amended). “Kindly also refer to the last schedule communicated by your party to the Commission on the dates of party primaries nationwide, including Zamfara vide your letter Ref. APC/NHDQ/lNEC/19/18/51 dated 3rd October 2018. However, report received from pur office in Zamfara state shows that no primaries were conducted by your party in the state, notwithstanding that our officials were fully mobilized and deployed. “Consequently, based on the provisions of Sections 87 and 31 of the Electoral Act 2010 (as amended), the Commission does not expect that your party will submit names of any candidate from Zamfara State. For clarity, our position therefore is that the All Progressives Congrats APC will not be fielding candidates for the Governorship. National Assembly and State Assembly elections in Zamfara State for the 2019 General elections. Efforts to get the reaction of the ruling party was not immediately possible as the party spokesman could not be reached on his mobile phone.